Cpl. Clyde M. Bulen, son of Luna Mary Bulen, attended school in Brock and Gandfield; husband of the former Mildred Lorene Meaders. 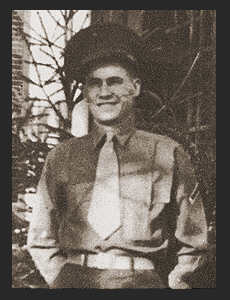 Entered the Marines in 1943, trained in Oceanside, San Diego, Cal., Clearfield, Utah; served in Japan, the Marianas, Hilo, Hawaii, and Iwo Jima, where he was wounded in March 1945. Awarded the Purple Heart.